I bought this book last weekend and started and finished it within less than a day, at least technically speaking. It’s not exactly short, packing 339 pages, so this tells you something right away. This is the first novel I’ve read by Ferguson (I’m reading his newest non-fiction book Beyond Belfast too, and have been really enjoying it, which is what prompted me to buy Happiness™ in the first place). Happiness™ , once titled Generica, won not only the Leacock Medal for Humour but also the Canadian Fiction Authors Association Award for Fiction. It was shortlisted for the Commonwealth Writer’s Prize (Caribbean and Canada region) and has been translated into 26 languages around the world. And it’s published by Penguin Group as one of their (so far?) 15 Celebrations books. How could I resist? That said, I had high expectations for this novel, and the good news is I wasn’t totally disappointed. I did get off to an uncertain start, however. I’m not sure if it was because perhaps I just wasn’t in the right mood (if so, I was unaware), or whether or not I was too tired (quite possible), but I just couldn’t find flow in the novel at first and I couldn’t pinpoint whether it was me or the author. I wondered if Ferguson, an experienced and no doubt talented writer, was having a hard time finding his pace or voice, or, rather, the voice of the narrator, this being his first piece of fiction. A few times I confused the narrative voice for Ferguson’s own; I couldn’t quite straighten out the point of view. I wondered if perhaps it was just that I wasn’t getting a clear sense of the protagonist, Edwin de Valu (significant last name??) (not a clear sense at first, anyway, but peeks at his inner thoughts, which were often contrary to his actions, helped develop him). I’m unsure. A large part of it, I will say, was that I couldn’t read without copyediting (being a copyeditor myself), which I found wholly ironic, since de Valu is an editor. I wish I had written examples to give, but I thought the text definitely needed to be further fine-tuned, which could easily be done without messing with voice or style. I also found myself wondering why this particular book was chosen for one of the few Penguins Celebrations books. Nevertheless, I didn’t once consider giving up. I just couldn’t stop turning the pages, especially after a certain manuscript turned up on de Valu’s desk and I knew it was going to be significant. The setting itself, a publishing house, and that de Valu was an editor were already reasons I bought the book. My curiosity grew, as did Ferguson’s momentum, and sooner than later I was more easily ignoring all else but the story. True to its promise, the book did make me laugh aloud at parts. As a humorist, Ferguson is a keener for satire, for self-reflexive fun, and even blatantly pointing the finger at people and things, from the publishing world, to editors, to authors, to particular people, and especially to, of course, the self-help culture and its advocates (here he shows no mercy, and it’s quite funny!). Ferguson’s knack for recognizably hitting the nail on the head but doing it tongue in cheek was impressive and enjoyable. Not until de Valu makes the crucial decision to hunt down the author of the world-changing self-help book do things truly start to pick up. At this point, I was going for broke; regardless of the time and my increasing nausea (nothing to do with the book, I hasten to add; I get that way when I stay up too late! ), I couldn’t put down the book. Dialogue was already strong throughout but when Edwin finally meets the author and confronts him, what follows is an extremely stimulating, thought-provoking, surprising, and clever exchange. By this time, Ferguson has clearly found his stride as a fictional author and is wholeheartedly and successfully showing us what he’s made of. Without doubt, there’s as much exploration of serious themes as humour in Happiness™. Perhaps a great one for your next book club? I laughed, but I got the point. And I think he’s right. There isn’t anything but a Tim Horton’s nearby and we all know their coffee is dishwater, so eastenders who like a stronger, full-bodied coffee have to drive all the way across the river to Starbucks. Meh. My vision is to serve as many people as I can and not to exclude booklovers on the basis that they might prefer a coffee to tea from time to time. I also see business people coming in before work and getting their coffee to go. Unless they’re like me, most people will likely be drinking coffee in the morning, and the happier I make them, the happier I’ll be. As you know, I have a sacred appreciation for tea, particularly herbal, but I’m quite open to black (monk’s blend, earl grey, lapsang souchong, lady grey, Yorkshire Tea, etc.) and others. And my favourite thing to do is buy books and read, and since these two—tea and books—spell the ultimate in coziness and contentedness for me, it only makes sense to marry them in almost ceremonious celebration of what they represent. For me, books and tea are love, passion, comfort, warmth, culture, class (in the sense of an elegance of style, taste, manner)—all especially valuable things. I know I’m not alone in this appreciation, which is one reason I’m opening Biblio. I also plan on creating gift baskets that recommend certain teas (but not coffee this time!) with certain books (and perhaps music, if you can read and have music in the background), because I find that when I’ve picked my book to read and go to make tea, there’s a choosing process that depends on that particular book. Perhaps like many, I rarely read a book without a cup of tea, and if I can read and sip in a perfect place as well, one conducive to the type of atmosphere that goes with the two—say, a yellow-lighted corner of the living room with a blanket, by a fireplace, in a comfy chair or chaise longue (IKEA’s Ektorp is my coveted choice), or in a place that’s inviting, with dark wood and lots of books—then the act of reading becomes something like going to church, being hugged by your favourite person, sitting in a peaceful sunlight clearing in the woods, or cuddling with a beloved pet. It’s a luxury, books and tea together, and for me, though a relatively small thing, it feels downright decadent. This is why I want to open Biblio, to recreate and offer this experience to others (complete with working fireplace). In a world that is becoming increasingly depressed, simple pleasures are most welcome. So far I’ve based the majority of my posts on books, but I want to share with you the other half of my reading experience—that good cup of tea. I’m picky about what I drink my tea in and what kind of tea it is so I’m always on the lookout for the perfect cup, always trying different brands for the best-tasting tea. Loose tea is the best for taste, and bone china cups probably can’t be beat. Tea Forté is the most beautiful purveyor of tea and tea things I’ve come across so far, and I’ve been browsing tea sites and stores for a long time. While in North Yorkshire I visited a few tea shops, even Betty’s, yet I still didn’t come across anything that really conveyed to me the essence of what I value in the tea experience. I typically don’t favour Victorian or floral items or gold or silver paint or certain patterns, so many English sets (not all) are not my style (though English Tea, as in the tea time and how they spend it, is something I truly enjoy). Of course, I greatly appreciate what I consider lovely things, things that make me feel cultured and good and reverent and most of all very happy. I know this sounds like a sort of ad, but it’s really not; I just want to share this store with you. Tea Forté has a stunning website and, in my opinion, an even more appealing (though small) collection of teapots and cups and accessories, plus the most close-your-eyes-and-sigh delicious organic tea. Taylor’s of Harrogate (loose) is excellent, and there are other brands I consider favourites, like Northern Delights (especially Cloudberry) and Yorkshire Tea (by Taylor’s), and Yogi, and the Metropolitan Tea Company (especially their honeybush). Tea Forté’s tea is a new one to add to the list. I will of course keep trying new brands. I had bookmarked Tea Forté’s site a while ago as a possible vendor for Biblio and then found some of their items in Chapters this weekend (even though the store is not listed as a carrier). Yesterday, I enjoyed (not quite a good enough word for how happy I felt) my new Kati loose tea cup with a few of the samples they gave in the box that housed the cup—chamomile citron, earl grey, and green tango. I dislike rosehip and hibiscus based teas, which is what the chamomile was, but to my surprise, brewed properly it tasted so wonderful I finished the entire cup. It even looked lovely, let alone the taste. And of course, it thus enhanced my reading experience. I want everything in Biblio, as part of the Biblio experience, to be perfect, carefully and thoughtfully chosen or executed, and I want to include products that the vendors themselves take great pride in. I’m happy to say I’ve discovered a few that match the description. Beautiful books and excellent tea: a marriage made in heaven—and Biblio. Last night I surfed the internet for hours looking for a bookshop or bookshop tearoom photo that conveyed something close to how I imagine Biblio, both outside and in. I searched in vain, much to my surprise. Either people aren’t taking photos of a certain kind of bookshop or there aren’t any that look and feel similar to the way I imagine Biblio to be. What I did find, though, were many articles and posts documenting the best bookshops in the world or in a person’s particular city. While I lived in Hamilton for about five years, my ex and I would plan Saturdays as second-hand bookshopping days, mapping out the stores and cafés along the way and spending the entire day searching for treasures. We walked in all manner of shops; one in particular sticks out in my mind because it was a complete firetrap. I was afraid to touch a book for fear the precarious piles might tumble down around me. There, however, I saw my first leather-bound antique copy of a Dickens volume, which the Fagan-like shopkeep kept squirrelled away in his back room. He brought it out to show me because he heard me exclaiming about some other copy of Dickens. This man’s stool was a pile of books. The whole store was piles of books. I don’t even remember there being shelves! Although I have a certain vision for Biblio, I can also appreciate bookstores that are nothing like it. “The World’s 10 Best Bookshops,” an article written for the Guardian, showcases incredible places to buy books, not least of all because of their stunning architecture. Paris’s Shakespeare and Co usually ends up on lists of favourites, but not on this one, and I have to confess I found that refreshing. Admittedly, I’ve never been, but from the pictures I can tell it’s not a place I’d enjoy all that much. I’m too claustrophobic and it’s a bit too eclectic for my taste. Not to say I’d never visit, but going upstairs to see Jeremy Mercer’s bed and such wouldn’t be on my priority list. “The World’s 6 Coolest-Looking Bookstores” overlaps the Guardian article a bit, but with the addition of a very exciting kids’ bookshop in Beijing. I love kids’ books and have a nice collection of my own. And I love this store’s design, especially the nooks for people to curl up in. I have similar plans that stem from childhood, when I would hole up in nooks and crannies around the house (usually on the floor) or in the library (I lived in the library, especially since my mom worked there), squeezed under mounted shelves devouring Nancy Drews. From these above articles, my very favourite, a place I must visit at some point, is Portugal’s Livraria Lello. Check out number 3 on the “Coolest-Looking” list and tell me you’re not in love! My personal favourite bookshop is one I’ve visited in Ottawa. There are several about, in Toronto and Montreal as well, but Ottawa’s is the only one I’ve been to. It’s called Nicholas Hoare, and it’s beautiful. This is the closest I’ve found to Biblio, come to think of it. Scarily close. I totally forgot to look there last night while searching for a photo to use for my previous post. If you’ve got a favourite bookstore, I’d love to see or hear about it. In fact, I’ll post it on my Everybody’s Favourites page! What Do You Want Most From a Bookshop? This quote reminds me of that camaraderie I felt when after hours of seeing no one along our hikes in North Yorkshire (which was also nice), my sister and I would suddenly come upon a couple or two pairs of people, socks tucked into their hiking boots, walking poles astride, breath coming in gasps from exertion, and we’d all nod to each other and smile, pushing wide our ruddy cheeks, for in that brief moment we knew we all felt the same appreciation for the daily constitutional among the misty moors and docile sheep. We were all out there because we shared a common passion, and it truly is wonderful to acknowledge and recognize that without having to say a word. But this quote speaks of the book enthusiast. I’ve been thinking about my bookshop tearoom idea yet again and about what I want to include, or not, to make it what I look for myself (surely others feel the same?) and to make it different from the other bookstores around, a place people come to because it’s their favourite and there’s nowhere else they go that makes them feel the same cozy way. As a bookshopper, what’s important to me is that I have space around me: not necessarily a large place but that I have personal browsing space, or at least that I feel comfortable shopping. I want to feel non-intrusive. I want the people around me to be like-minded, if it’s not too much to ask, made possible by the particular focus and atmosphere the shop exclusively offers: friendly, welcoming, warm, cultured, enthusiastic, appreciative. I want to be able to reach all the books. I love the look of a ladder, but how many people actually use it? Usually the books within arm’s reach are the ones most looked at. Anything higher, for me, is inconvenient. I would like the music to be non-invasive, whether lively or subduing. I want things to be organized in a way that makes sense, though not so orderly and clean or minimal that it looks as though no one “lives” there, and to not be surrounded by tables loaded with kitschy do-dads piled willy-nilly but to find tasteful gifts (stationery, cards, and book and tea related things) available in attractive displays. I wish not to be overwhelmed, especially if the place is smaller—yet, I want to see many books to choose from. I want the lighting to be warm but bright enough, and not too white. Basically, I want to feel as though I’m in a sacred place, a sort of haven more than a church, so not the kind of place in which you feel you cannot touch or breathe or talk; rather, the kind in which you can breathe quite deeply, sigh contentedly from happiness, hugging a book to your chest in the anticipation of making a purchase, perhaps while speaking appreciatively about it to another (it’s not going to be one of those places in which you feel you must whisper). I do want to be able to combine my two favourite things, which are books and tea. So being able to buy a good cup of tea while book shopping is important to me. I am not the type to sit and read half a book in a shop (home is where I enjoy my books best, though I’ll bring them along with me everywhere), but if I can browse through the books I’ve picked out just to read a few passages here and there and make sure they’re what I want, and do this while sipping tea, I’d be quite happy. I want my bookshop to be my favourite place to visit, so it has to be welcoming on a personal level, and to include small but meaningful touches that make people very happy about their purchases, such as brown paper-wrapped books, or nice bags, or receipts in little envelopes, or something. A pretty coupon for your next purchase, perhaps— things that make you feel excited about what you bought beyond what you actually bought. You know? What do you want most from your bookshop? I’ve decided to start this blog as an attempt to become even more well-read and in preparation for when I have my own bookshop tearoom and can passionately share my love for certain stories with the customers who venture in. I also want to actually experience all the books on my shelves rather than simply collect them. And I hope this blog will act as a sort of catalogue, too, of what’s on my shelves. Not least, I also hope to use this blog as a venue for my passion for sharing my love of books and great stories, and for you to express how you feel about what you read, too. I no longer work in a bookshop or a library, where I could discuss books all day long to people who actually cared. Instead, I copyedit as a freelance editor, and also work in a naturopathic clinic where the topic of the day is illness rather than books (although I have sneaked in a book chat or two with patients, especially kids, who come in bearing dogeared volumes to sit with while they wait). Lastly, please don’t hide. If you’re reading this blog and want to say something, do! 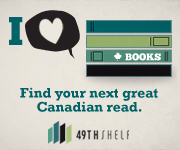 I want this to be an interactive site for everything books and for those who love books. Tell me your favourite place to shop and I’ll post it on the Everybody’s Favourites page. Send a picture of your personal collection, and I’ll add that to the Personal Collections page. Or simply comment whenever you have something to share. Reading is completely personal and subjective: there are no right or wrong opinions here.